The utilization of herbs in cooking has been in craze for many years. In India, people use a wide range of herbs in cooking because herbs can add flavor to foods, making them more delicious and tasty. There are dried and fresh herbs, which are used by people to add a magnificent aroma to the foods. When you are going to use any of the herbs in a recipe, then you will be going to have the most tasty and delicious foods that you have ever had in your life. There is a huge variety of mustard seeds available, like yellow mustard seeds and black mustard seeds. Both types of mustard seeds are used to prepare foods. Black mustard seeds can be used in foods in a straight manner. Apart from it, you can use them in the preparation of foods by making the pastes with the use of warm water. Big yellow mustard seeds are also beneficial to prepare salad dressings, sandwiches and hot dogs. Lotus seeds are in a great demand because of their merits to the health. We can use them in a wide range of foods. After soaking them in the water during the whole night, in the next morning, you can add them to soups, salads and other varieties of dishes. Star anise seeds are used while preparing foods. You can crush them using the grinder and then take a small amount of powder and use it to make desserts, breads and pastries. It is a great herb that has many health benefits. 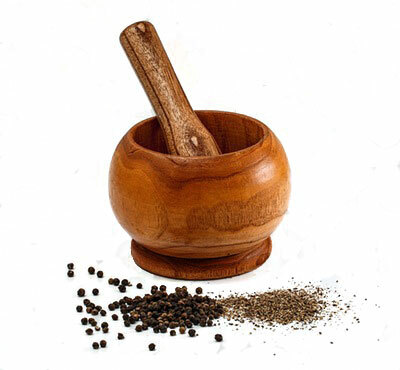 Long pepper can be crushed into powder and can be applied on the garnishing of foods. You can sprinkle them on the foods, after preparing them. It will give a perfect look to the dishes as well as making more delicious and full of taste. Herbs are valuable substances, which we cannot ignore to use in the making of dishes. Most of the chefs use different types of herbs in foods either to give them a great sense of aroma or to make them healthy and delicious. Visit Kiranaplace to know more about them.